The Lewiston Library Foundation works to increase philanthropic support for the Lewiston City Library by building partnerships which help the Library achieve and sustain its strategic goals to benefit our diverse community so every person can have access to valuable resources needed to succeed in life. 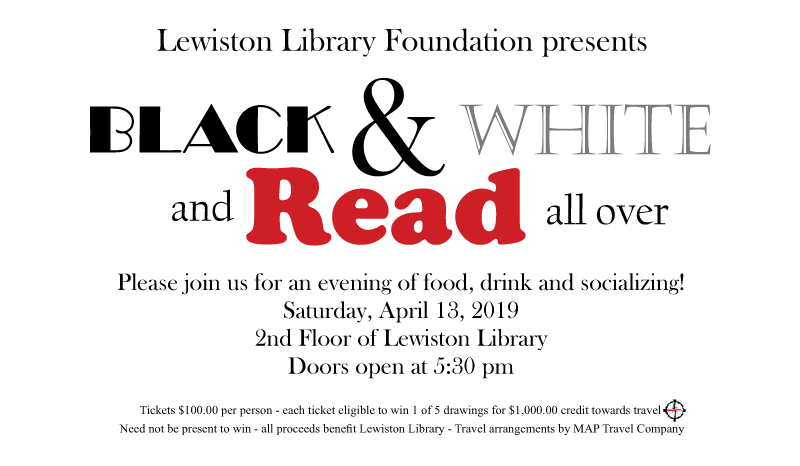 Use these links to shop and search and you'll automatically be supporting the Lewiston Library Foundation. Donating has never been so easy! Our library is funded through its first floor renovation – we need your help to finish the job. Important pieces like a large meeting room, study, reference, genealogy and unique roof garden are drawn for the second floor – we are committed to seeing this project through to completion.